So many people think that picture books are just for little kids. I'm here to tell you they're not. As a middle school teacher, I use picture books all the time. Here are my top ten favorite picture books to use with middle schoolers. Is Your Chicken Ready to Cross the Road? Is Your Iguana Ready for Space Travel? Is Your Alien Ready to Abduct Humans? Is Your Hippo Ready for Ballet? Is Your Monkey Ready for Spanish Class? Each one just as hilarious as the original. Have you ever noticed that William Carlos Williams' poem "This is Just to Say" is apologizing something that he's not really sorry for? He confesses to his crime, explains why it was wrong, and then gives a very insincere apology for eating the plums that "you" were probably saving for breakfast. 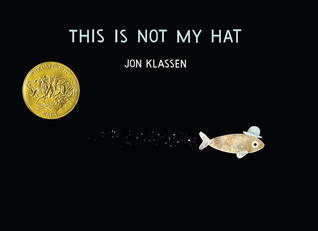 OK, so even before I heard Jon Klassen's Caldecott speech where he said his inspiration for writing This is Not My Hat was "The Telltale Heart" by Edgar Allan Poe (what? ), I knew this book was perfect for middle schoolers because there are some complex issues you must tackle in this short little story: stealing and vengeance being two issues right there. Once you think about it that way, it's no wonder Poe inspired Klassen! This gentle little picture book inspired me to have my students create their own LOUD Book, and wouldn't you know it, a year later, Deborah Underwood did too. 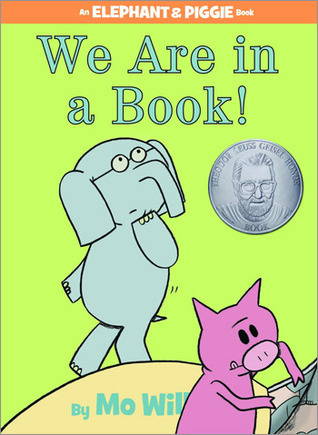 Middle schoolers absolutely LOVE Elephant and Piggie. Every time I would bring in a new book and put it on the whiteboard ledge, it would get passed around the entire day. So don't tell me these books are just for little kids. It's all about creating a culture in the classroom that celebrates ALL books. On the surface, this book appears quite simple in nature, but is hugely symbolic and would be fabulous to discuss in any classroom - all the way up to college. In fact, the story is so symbolic, it reads like a free-verse poem. There is so much hidden meaning within its sparse words. Any book where one of the main characters is a jackass is bound to be more apropos for older than younger readers, am I right? In fact, when my 8th graders last year were trying to stall for time because they didn't want to have to do an assignment I was going to give them, they asked me to read It's a Book to them again because they remembered me reading it to them in 6th grade. 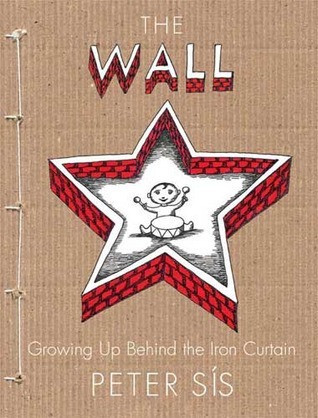 Read this book and then tell me all picture books are for little kids. Go ahead. I dare you. Because I'm thinking this one would be better suited for a high school history class. Kadir Nelson captures the human spirit like no other artist I've ever seen . And this book is probably his most stunning to date. How can you not stare in awe at that beautiful cover? Students feel the same way too. A book about bullying that empowers the bystander. The last line will resonate with kids and can easily inject itself into discussions for well after it's been read to the class. Thanks for sharing Beth. 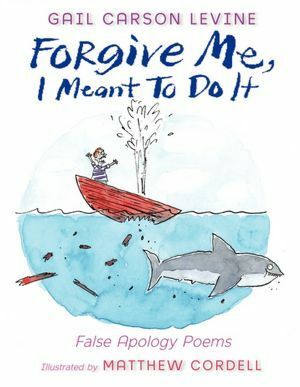 I can't believe I don't know "Forgive Me, I Meant to Do It: False Apology Poems" Will be finding that one soon. Great list, Beth! I love talking about theme in multi-layered picture books with older kids, books which makes for perfect mini-lessons. Sometimes these layers are found in the illustrations, too--Patricia Polacco's Chicken Sunday is one, with the elderly man's arm tattooed with a string of numbers. What a great list! I agree picture books are great for all ages and middle school students have the sense of humor to "get" the funny and serious ones. Love seeing how these picture books have inspired your students to write! Thanks so much for sharing. Is Your Buffalo Ready for Kindergarten cracks me up every time I read it, and I had no idea there was a sequel! I very much wanted to add "We Are in a Book" to my list! Love Mo! Fantastic list Beth! Go Zoe! This letter of hers made my morning. 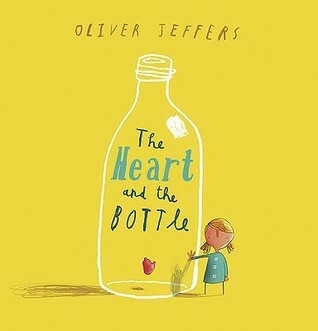 The Heart in the Bottle is such a special title. It makes me teary just thinking about it. 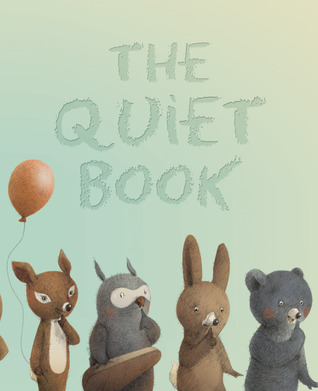 I'm very honored that you included THE QUIET BOOK! And Maria's false apology poem is fabulous. It's so heartening to hear that you're using pbs with older kids--thank you! So many good ones. I love The Heart and the Bottle. So much to talk about. Great list Beth! It's a Book made my list also! I love using Forgive me Please as a mentor text with my 5th graders! Thank you Beth for introducing me to The Heart and the Bottle. I am adding it to my list. I love so many of these books. It's a Book is a favorite with my fourth graders as well. Forgive Me Please jumped from student to student last year. I've reserved a few titles that I didn't know and I'm anxious to read them. It's nice to see you using picture books with older students. I love It's a Book as well, you can pair it with It's a Little Book. Thank you for sharing your use of picture books with middle schoolers. I love it as well. So many great book suggestions! I will have to find and read these books this year! These are terrific choices, Beth! The Buffalo books and The Heart and the Bottle are new to me. Even though they're very different, they sound perfect for middle school. Have you seen Joyce Sidman's book, This Is Just to Say: Poems of Apology and Forgiveness. It's also modeled after Williams' poem, but adds poems of forgiveness. Love Zoe's poem! Thanks for sharing! Great books and lovely ideas for writing prompts. 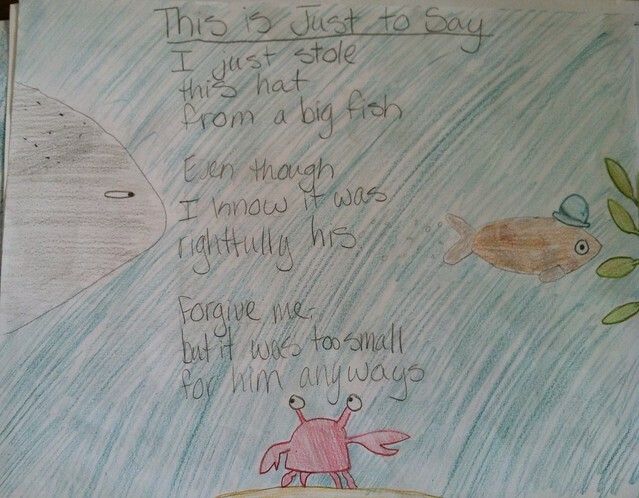 "This is NOT My Hat" and "It's a Book" are actually much better for middle school than preschool. Great list. "This is NOT My Hat" and "It's a Book" are actually better choices for middle school than preschool. Great ideas!